Tell me where the goals are going to come from then? Or rather who is going to create them? Defence is always going to make mistakes when we can’t keep the ball up the other end of the park and they are constantly under pressure. Ross Kanangh and CraigThomoson have been brought in two forward thinking players Thompson has been playing right back due to injurys bringing in Scobie means he can go into that position which means he can now go in to the midfield which gives us another option going forward. Do you really think he is just signing players for the sake of it ? Barry wants to win games as much as we do and I don't think he would be getting players in that couldn't help with that. Don’t get me wrong that’s a terrific signing but why are we signing another defender when we have next to no options going forward? As the above chap has said our squad has no balance at all. Unless the 3 injured guys McGeever, Tapping and Robertson are out long term?! Burns out now as well with broken arm. That is why Scobie was signed. Seemingly a striker is on the radar but finding good strikers is like finding like hens' teeth. What folk fail to realise is that for the past 3 or 4 games we have only had 2 outfield players on the bench and players have had to play in strange positions. When everyone is fit again it looks like a really strong squad for the run in. Well well well Smythe signs another defender , just like Mr Dodds overloading the squad with defenders.We need a decent coach that knows we need attackers not defenders. Well well well . Pugwash obviously has his finger on the pulse . Another insightful contribution . Perhaps if we had a manager/coach that knew what he was doing I might stop moaning but at the moment Smythe is just like Dodds CLUELESS. It wouldn't matter who was in charge , you would still be a trolling fool. Is it though? Other than the first game I don’t it is. I know Barry needs to make his own stamp on the team and the side against Montrose featured a few of his signings and we went down to one of the worst results for a long time. Yet we won our two previous encounters , one against a full time promotion seeking side. People on here are always so negitive yes it was a heavy defeat but we won the 2 games before that and as hedge said we had 2 for players on the bench and most of the others out of position. 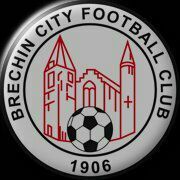 That's just Brechin in general though. Hopefully with this free week, we can get some injuries sorted, then reassess. With the new signings experience and a bit of hard work... Hopefully a promising final third of the season to come, get ourselves to safety, then see what plans Barry can sort for next season. Its difficult to be positive I really want it to work out for Smith but i am afraid I did not think it was a good appointment at the time and as of yet have not changed my mind. Apart from a wee purple period at Dundee he has done nothing at any club he has been at and most of these clubs had better resources than Brechin. Good 3 points for City today. Anybody at the game? Any report?